LUXADD and ZEPLINN joined forces. The two leading lighting solution providers are based in the US (Miami, FL), Europe (France) and Asia (Hong Kong). Their teams of experts around the globe are dedicated to developing new technologies that improve energy efficiency in lighting. COMMERCIAL ENERGY REDUCTION – What’s your plan? Experts agree: Begin with optimizing what you have is the easiest, most immediate and most cost effective way to save money. Lighting is the single largest energy consumer worldwide. Lighting retrofits are both easy to implement and work within existing buildings system operations. Millions of property owners worldwide have a plan and already taken steps to reduce their energy consumption. We meet this need with products that dramatically reduce electricity consumption instantly while producing higher quality light. Our focus is on affordable quality and customer convenience. Our main product line are easy to install “SNAP-IN” or “DROP-IN” solutions. Our products are in compliance with the LEED and NAHB green building standards. Department of Energy - T12’s are being banned! Only LUXADD offers retrofit conversion adapters (LUXADD Express T5 Retrofit Kit series) that significantly improve energy efficiency and reduce operating expenses without downtime and zero installation costs. The concept of LUXADD’s Express T5 Retrofit Kit series derives from German technology, but the LUXADD™ technology was invented, engineered and is “made in USA”. LUXADD™ is a registered trademark and the conversion adapter (LUXADD Express T5 Retrofit Kit series) is a patented technology. Whether it’s new construction or a fixture retrofit, building owners can finally say “good-bye” to fluorescent tubes and dated lighting fixtures. The new ZEPLINN “DROP-IN” recessed LED panels bring the possibility of chic, modern styling to traditionally uninspired commercial ceiling space. The ultra-thin recessed profile maximizes ceiling space and allows for easy installation in common grid designs. President Obama recently announced the Better Buildings Initiative to make commercial buildings nationwide 20% more energy efficient by the end of this decade. The DOE initiative intends to save companies about $40 billion a year. 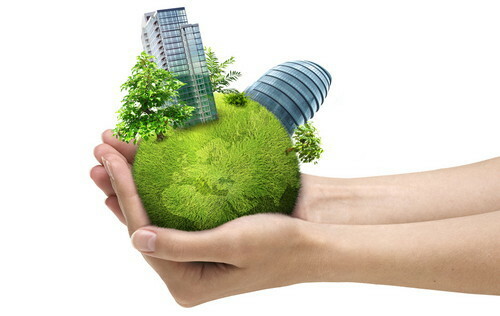 At LUXADD we understand that saving energy saves money and is good for the environment and our country. We strongly believe that the LUXADD Express T5 Retrofit Kit series with its revolutionary labor-free conversion technology and the new ZEPLINN LED “DROP-IN” Panel will play an important role in reaching the President’s goals. Let us work to guide you through your lighting retrofit project. Our wide range of tools includes savings calculators that reveal the benefits of T5 fluorescent and LED lighting retrofits and help you start saving energy and money immediately.